Here at Motorwise, we know all there is to know about how to scrap a car. As one of the U.K.'s largest national online scrap car services, we have years of experience and can help every step of the way. We are licenced by the Environment Agency as a Waste Carrier Broker and we only work with similarly licensed and approved Authorised Treatment Facilities (ATF's). ATF's are the only organisations who are legally authorised to dispose of scrap cars. A quick visit to our website will show you how quick and easy it is to produce an instant online quote for your scrap car and better still, obtain the best price. It couldn't be easier. It really is easy to obtain your instant online scrap car quote, simply enter your scrap car registration and postcode for collection and Motorwise will instantly search for the best scrap car quote from our register of licensed and approved ATF's. Motorwise also offer their scrap car collection service free of charge. If Motorwise believe your car may be 'better than scrap', we will ask for a few more details online regarding the car's condition and mileage before being presented with your immediate online car quote. This way, we can ensure we are offering you the very best price for your salvage car. It's extremely important to get the paperwork sorted properly when selling or scrapping a car. If legal ownership isn't transferred correctly, you remain responsible for the car and could be stung with a fine from the DVLA for not paying road tax. Plus, if your scrap car falls into the wrong hands and ends up racking speeding and parking fines – that will be in your name too! WRONG! It is your legal responsibility to notify DVLA immediately you sell your car, including if you sell it for scrap. You should do this by completing and returning Section 9 of the V5C (also known as the log book/registration document). Alternatively you can quickly and easily notify DVLA of the sale of your scrap car by visiting the DVLA website. 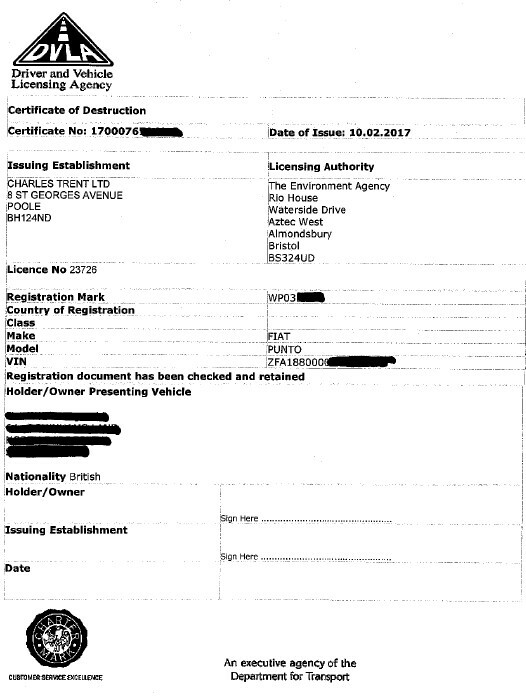 The Scrap Metal Dealers' Act 2013 requires the scrap car seller to provide the ATF with photo ID showing their name, date of birth and address. The ATF will need to retain a copy of this identification for their records. 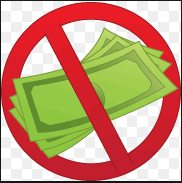 The Scrap Metal Dealer's Act 2013 has made it illegal to pay cash for scrap cars, so if anyone offers to pay cash for a scrap car, it's a red flag and should be avoided at all costs. When I Scrap My Car, What is a Certificate of Destruction? 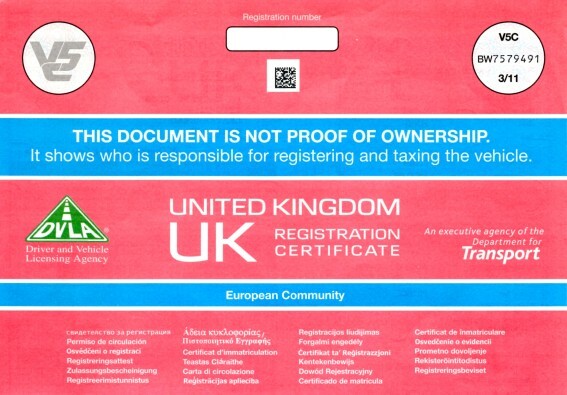 CoD's can only be issued by Authorised Treatment Facilities (ATF's), such as those used by Motorwise. It is the ATF's responsibility to produce the Certificate of Destruction and submit this electronically to DVLA. It is not a legal requirement for the seller of the scrap car to be supplied a copy of the Certificate of Destruction but for your peace of mind, all Motorwise approved ATF's will supply a copy of the CoD upon request. Can I remove parts before I scrap my car? Some motorists wish to sell off parts, such as wheels, lights, tyres and battery before scrapping what's left of their car. Not only can this be time consuming, dangerous and not cost effective, it can leave you with a real problem when you try to scrap the remainder of the car. You may have great difficulty finding an ATF who will collect and dispose of the stripped car. This may be because you have made the scrap car unsafe to transport, but in addition, if you strip car parts, you have devalued it and made it unattractive for the ATF to purchase. 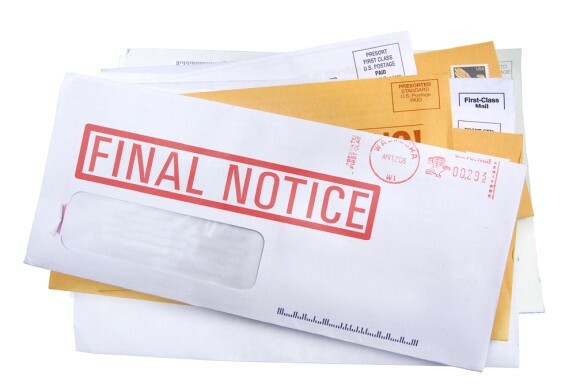 You will then be faced with the headache of having to arrange for the scrap car to be delivered to the ATF's site at your cost and, depending on what value is left in the scrap car, you may be faced with a bill to dispose of the remainder of the scrap car. After all, ATF's are businesses not charities and there are considerable costs to the ATF to legally and compliantly dismantle and dispose of the scrap car components. Our advice is to leave the car intact to guarantee a stress free disposal and the very best price for your scrap car. Can I reclaim tax and insurance when I scrap my car? As soon as you have released your scrap car to the ATF, notify DVLA of the sale using Section 9 of your V5C. This will automatically prompt DVLA to refund any complete months Vehicle Road Tax which will be sent to you as the last registered keeper. It's also important to call your car insurer and let them know you have scrapped your car. They'll generally give you the option of either transferring any refund towards insuring your next vehicle, or giving you a refund for any unused months.